** From last week's East Coast Comicon, Sound on Sight's Logan Dalton interviews the creative team behind Images Rocket Girl, Brandon Montclare and Becky Reeder. Brandon Montclare: Rocket Girl #4, which has the big chase scene, was really a challenge for Amy because you don’t really have chase scenes in comics. You have Akira and Paul Pope, who did it after watching Akira, in Batman Year 100, but those are really long-form chase scenes. In Akira, it’s 80 pages of a motorcycle chase scene, but we only have 20 pages to work with. We actually cheated on issue 4 and made it 22 so we could a little more of the chase scene in it. But it was also important because it’s cool to challenge. Most people might say, “That’s too hard. Just make it punching because I’ve been drawing the Hulk punching the Thing since I was eight years old.” But it’s not interesting, and also not Amy. You try to introduce different opportunities to try different things. I have to be honest and say that I haven't actually read the first Rocket Girl collection but I've flipped through it many times and love Reeder's artwork in that book. Just seeing some of the comics that Montclare and Reeder reference in this interview makes me think that I need to sit down with that book soon. ** The upcoming Free Comic Book Day is about more than just the comics that your retailers can get through Diamond. Bleeding Cool reports that six alternative publishers are joining forces for a FCBD comic. Free 2015 will feature a color cover by Chuck Forsman and 40 pages of comics from the different publishers. Artists include David B., Niv Bavarsky, Box Brown, Patrick Crotty, Max de Rodriguès, Hanna K., Alex Kim, Laura Knetzger, Kate Leth, Jason Little, Matt Madden, Jane Mai, Melissa Mendes, Oliver Schrauwen, Ben Sears, Jack Teagle, Derek Van Gison, and François Vigneault. ** Scroll through some of the DC stuff and watch Jeff Lester review Gil Kane's His Name Is... Savage before diverging into a brief bit on Rick Buckler's Deathlock. I think I now have two copies of this somewhere, the original printing and the Fantagraphics reprint. 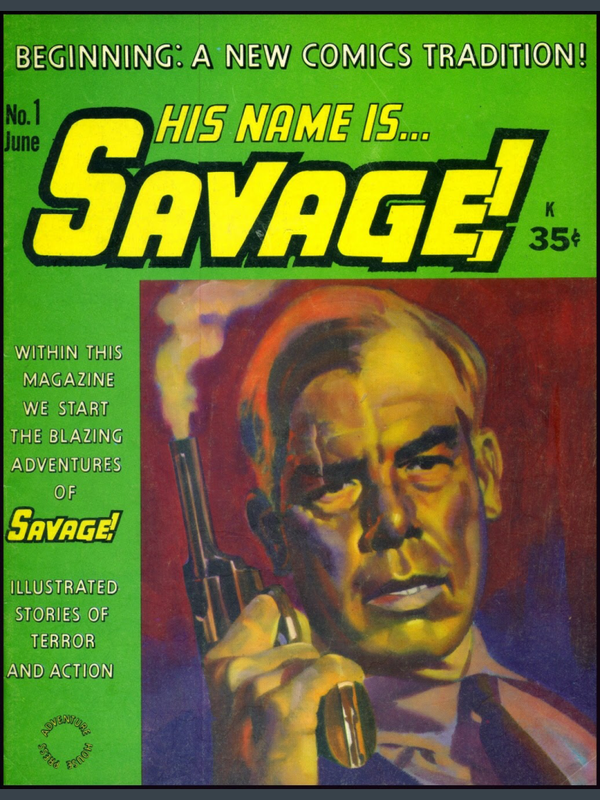 And how could you not love this Point Blank Lee Marvin cover? ** The Outhousers cover how some dude supported some other dudes who do artwork that probably only dudes really like. This past week, I've seen other dudes invoke the curvy drawings of Harvey Kurtzman and Bill Elder and wonder how they would be accepted in today's politically correct comics world? My only response to them is that Kurtzman and Elder's art was actually funny and their styles reflected their humor. Frank Cho's "humorous" drawings try to be funny and instead just look very staid and boring, much like most of Cho's drawings. And if that's the type of art Rob Liefeld wants to hold up as being the foundational work of comics, well, to each their own I guess. 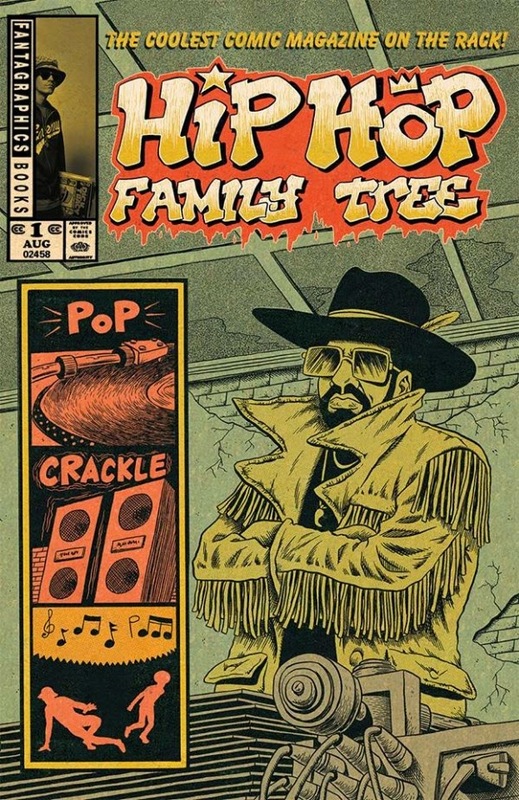 ** Hip Hop Family Tree is going to be a monthly comic. ** At Publisher's Weekly, Deb Aoki has a fascinating look at the current manga market. It seems that one way to read the post Tokyopop/post-Border's manga world has been as some kind of market correction taking place. I'll say that while I think there are still great manga work getting translated and published in English, I wonder where those sales are coming from? Barnes and Nobles and Books-A-Million, maybe two of the largest brick-and-mortar, have generic-to-decent selections on their shelves right now- at least the ones I've been to. How much of the manga market is due to Amazon? A good deal of the renewed vigor in the manga market can be attributed to an overall stronger U.S. economy, but there are other factors, including new distribution channels, the growth of legal digital publishing, and some new popular series that are generating a rising tide of sales for the entire category. Rob M. tells you why you should support Beyond, a queer scifi/fantasy anthology on Kickstarter, Maria K. reviews O, Human Star! while Rob K. looks at Grace, Jerry, Jessica & Me and Nights & Weekends before Guy T. brings the whole thing home writing about Julio's Day. Scott C. revists some Calvin and Hobbes strips to see just what was so special about that comic. Rob M. tells you that you should be going to Lineworks NW this weekend. Speaking of Lineworks NW, James K. looks at Space Riders #1, a book that should be at the show. And not leaving all of the Kickstarter love to Rob M., James K. highlights the new Kickstarter campaign for Flutter 2. 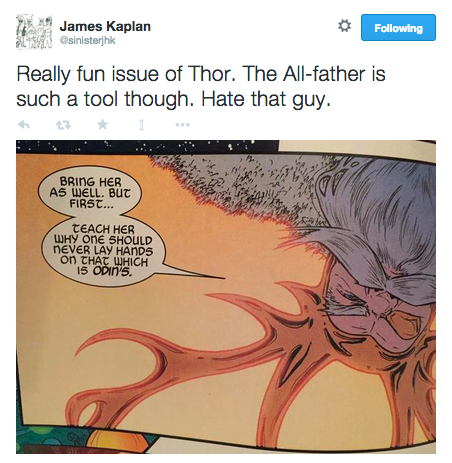 Finally, James K. does his usual 140 character comic reviews at Comics Bulletin.